Many senior citizens suffer from age-related aches and pains and are unaware of the relief that regular chiropractic care can provide. A common misconception is that chiropractic care is not for people of all ages, but it is beneficial for everyone, including the elderly and small children! Chiropractic care is one of the safest ways seniors can reduce a variety of different types of aches and pains. It can also increase their overall quality of life and health while preventing debilitating accidents. Degeneration is an almost unavoidable process the body goes through with age, but periodical alignment can decrease arthritic changes and pain. It can potentially reduce the chances of developing arthritis and diminish prior arthritis pain. Many seniors face problems due to a misaligned vertebra. Chiropractors are specially trained to identify these subluxations (misalignments). Regular medical doctors may be able to identify these problems as well, but their treatment techniques, such as medication, often just mask the pain and have undesirable side effects. Chiropractors use non-invasive techniques to adjust, realign, and maintain alignment in seniors spines to fix the problem, preserve their health, and keep them pain-free. These treatments will increase the range of motion in the spine and limbs. Things most people take for granted, such as bending over and raising your arm, can be almost impossible for some older adults and simply visiting the chiropractor can potentially help! With on-going visits, seniors will most likely notice an increase in their overall quality of life. They will be able to stay healthy longer and maintain their previous quality of life. Adjustments can improve and maintain mobility and will most likely keep the elderly out of a nursing home for much longer and maybe forever. Chiropractic care is safe and effective is safe and effective and alters senior life in a positive and beneficial way! One of the most common accidents among seniors is slips and falls. Falls among the elderly often occur because of lack of balance and coordination. As people age their bodies begin to degenerate from years of wear and tear. This wear and tear decreases the range of motion and increases aches and pains, but balance and coordination also begin to decrease, which is why so many elderly people slip and fall and are unable to get up without assistance. Studies show that regular chiropractic visits can help restore these degenerative processes and contribute to improving balance and coordination to prevent slip and fall injuries that result in hip replacements. In addition to regular adjustments chiropractors will prescribe different exercises seniors can utilize to maintain and increase strength, mobility, balance, and coordination. Seniors should consider chiropractic adjustments as their first treatment option. Regular visits can prevent injuries and pain and heal patients after an injury occurs. Treatments are non-invasive and drug-free which is superior to the alternative (risky surgery procedures and unhealthy medicines that simply mask symptoms). Arrowhead Clinic has almost 40 years of experience treating many different pains and injuries including slip and fall. 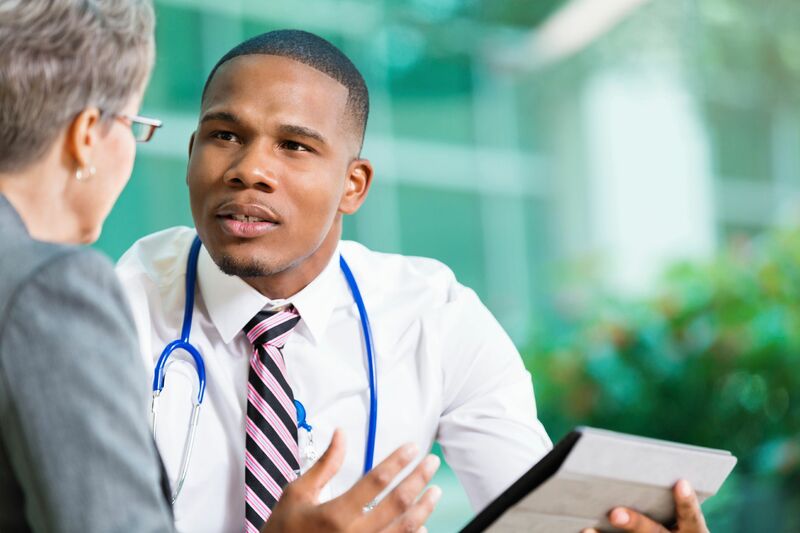 The knowledgeable doctors will listen carefully to the specific circumstances surrounding your accident or injury, complete an in-depth evaluation, and provide you with a detailed treatment plan for your individual case. If you are a Senior who is interested in improving their joint mobility and flexibility, our Chiropractors in Georgia or Tennessee offer a Free Consultation.